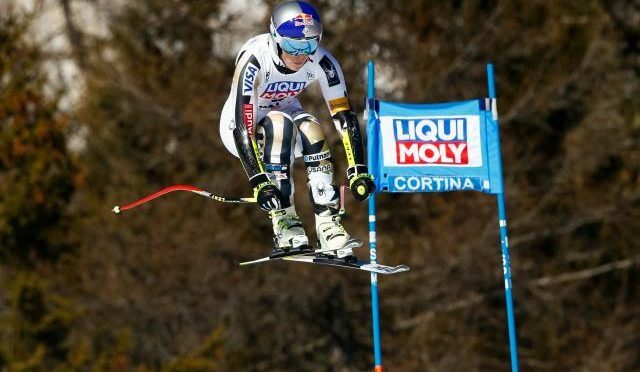 Cortina d’Ampezzo, Italy – Speed events aren’t Mikaela Shiffrin’s forté. In fact, she’s only recently begun racing in World Cup downhill and super G races. 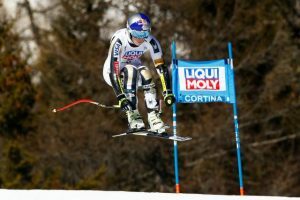 However, the Eagle, Colo. resident showed off her speed skills in Cortina on Sunday, coming from bib 31 to steal fourth place in an Audi FIS Ski World Cup super G in Cortina won by Ilka Stuhec of Slovenia. 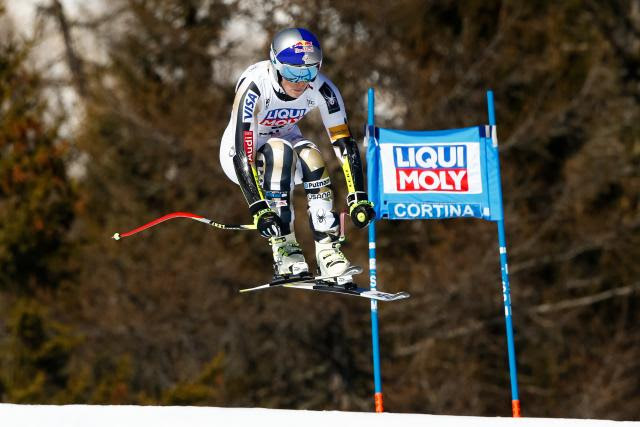 It was Shiffrin’s best ever finish in a speed event. It was a bright and sunny day in Cortina with 60 women racing the straighter than normal super G course set by U.S. Ski Team coach Chris Knight. Lara Gut of Switzerland came into the race heavily favored, trying to take the overall lead from Shiffrin, but a crash at a tough blind gate caused her to DNF. The race was assumed over after the first 30, but Shiffrin, running 31st, put down a crazy fast run, even leading a few of the splits, to finish just off the podium in fourth. Staring at the board after skiing through the lights, Shiffrin let out a yell, surprising even herself by the fast result. Stuhec ran bullet and never gave up first place, taking her first super G win of the year. Sofia Goggia of Italy was second in front of her home crowd despite nearly losing her line on the lower part of the course, while Anna Veith of Austria returned to the super G podium for the first time in two years in third. Dusting off her crashes in Friday’s downhill training run and Saturday’s downhill, Lindsey Vonn (Vail, Colo.) skied a solid run to finish 12th overall. “In downhill, especially, I’m skiing well,” relayed Vonn. “Because of the training runs, I have more time to get adjusted to the speed. In super G, I wasn’t very confident today after two crashes and not having as much training. It’s difficult to be confident and really pushing 100 percent. I’m happy I got in the finish today—that gave me some confidence. Also present at the race was Julia Mancuso, of Squaw Valley, Calif., who was forerunning the super G. She is still working on coming back to the World Cup after missing the last two seasons due to injury, but she plans on racing at the Olympic test event in Jeongseon after World Championships. Shiffrin’s result and Gut’s crash meant that Shiffrin added to her overall World Cup lead. She came in with just a 30-point margin over Gut, but put on another 50 points with her fourth-place finish, bringing her total score to 1103 points to Gut’s 1023. The women head to Stockholm, Sweden for a city event on Tuesday evening before the FIS World Championships kicks off in St. Moritz.